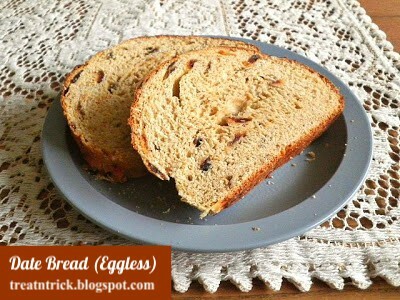 Date Bread (Eggless) is the easiest loaf of yeast bread you will ever bake. This recipe produces a soft crust and moist center using the most basic ingredients that can be found in most kitchens. Instead of raisin, I had used chopped dates and this is also an egg free recipe. The dough is easy to handle and it takes about an hour and half to rise. 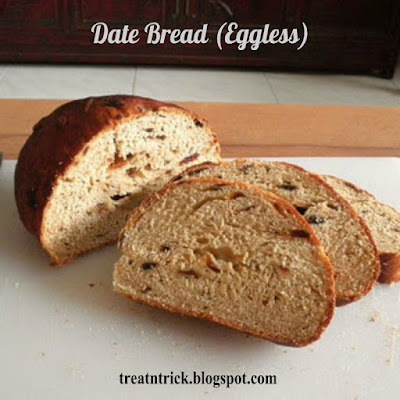 This Date Bread (Eggless) is wonderful. It smells so good while baking. The texture is perfect and just a right size for my family. 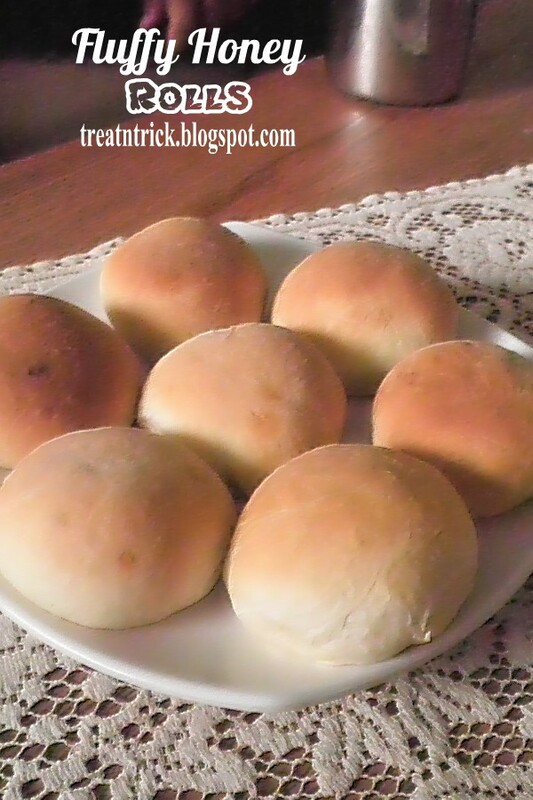 It is a favorite bread for many families because it can also be eaten as healthy snack. 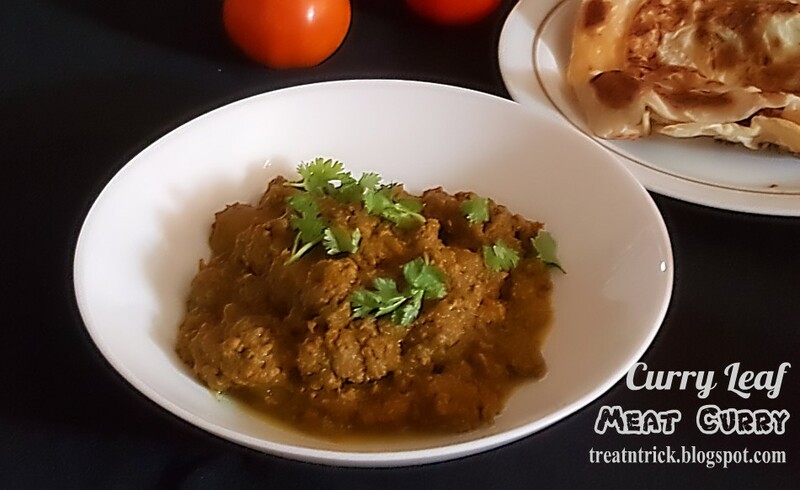 This is a unique meat curry where fresh pan roasted and blended curry leaves is added in the gravy. 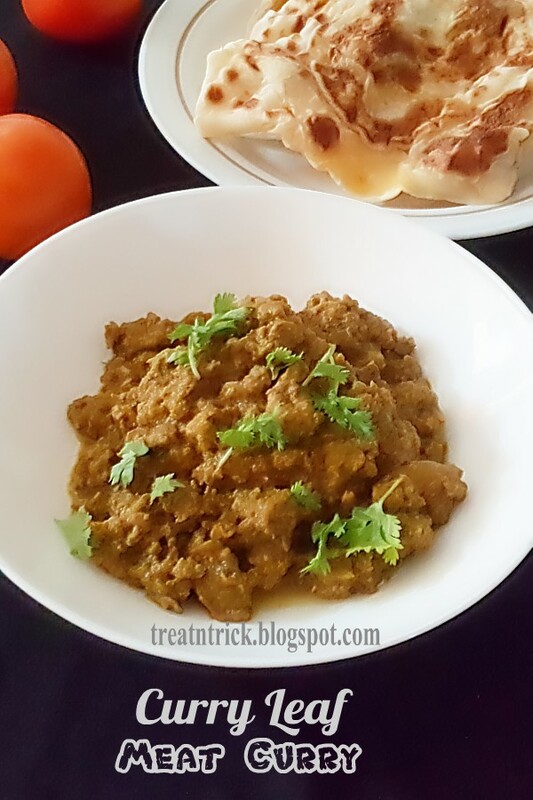 Curry Leaf Meat Curry could be made with mutton or chicken too. Chicken takes lesser time to cook, so adjust accordingly. By adding curry leaves, Curry Leaf Meat Curry would turn greenish in color but I added more onion and tomato so green color is not visible. If you want a semi dry gravy, add less water but if the meat is still tough, keep adding half a cup water of water until you achieve the required consistency of the gravy. You can adjust the spiciness of this recipe by decreasing or increasing number of green chili and chili powder. The meat gets really tender and the sauce becomes incredibly flavorful. 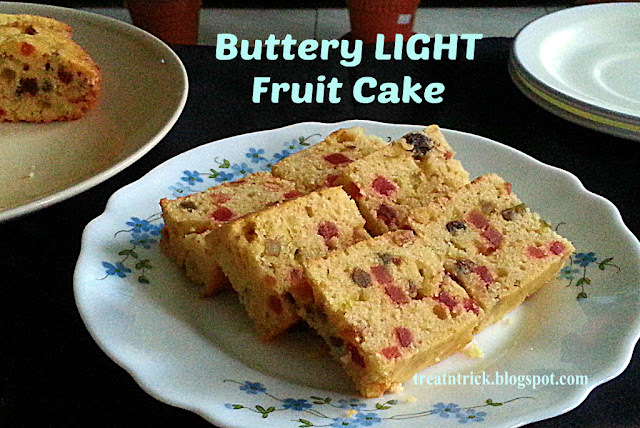 This goes well with rice, chapati, appam, prata or naan. 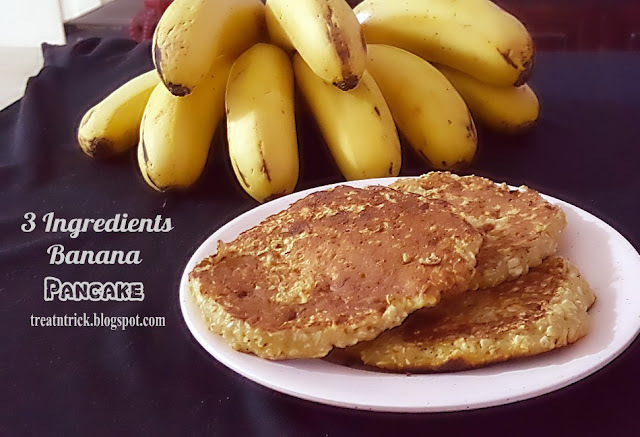 This 3 Ingredients Banana Pancake would almost immediately satisfy your hunger. 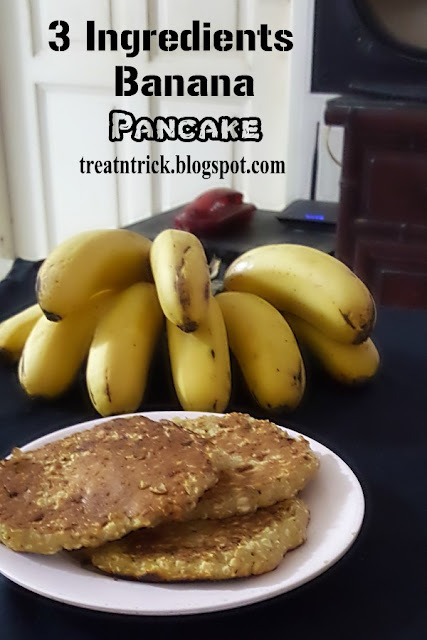 It is also egg free, milk free and butter free. This happens to me when hunger strikes almost midnight, just grab a few ingredients available to make this 3 Ingredients Banana Pancake. If rolled oat isn't available, replace with plain flour or self rising flour. You can also add an egg but reduce milk to 1/2 cup. I ate them as it is but if you're a sweet person, drizzle with honey, maple syrup of chocolate. Made from scratch, these Fluffy Honey Rolls are incredible to start your day. Using instant yeast, bread flour, honey and milk, they can be made with a stand mixer too. 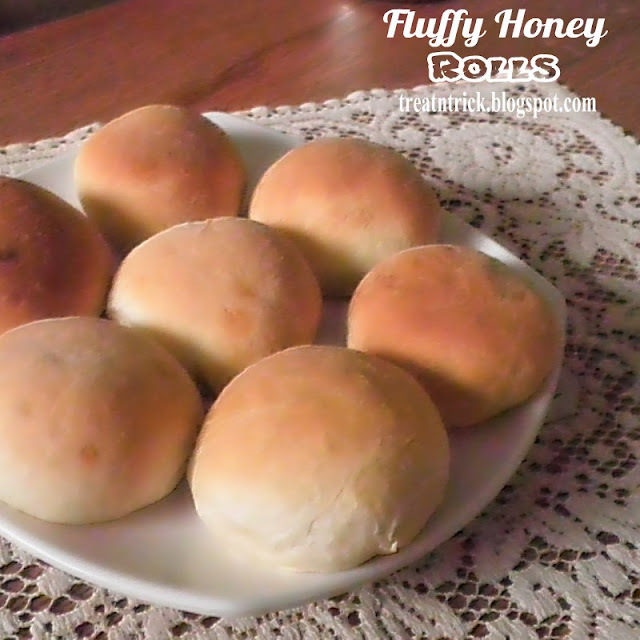 Fluffy Honey Rolls have a natural sweetness from honey. I like the fact that you need not knead the dough but leave them to proof longer which will help to be more elastic, easier to roll and rise even better. They are great to make ahead then store in a refrigerator Place the dough in a greased bowl and cover with plastic wrap before storing. Remove from fridge. shape as desired. Cover and let rise until doubled before baking. 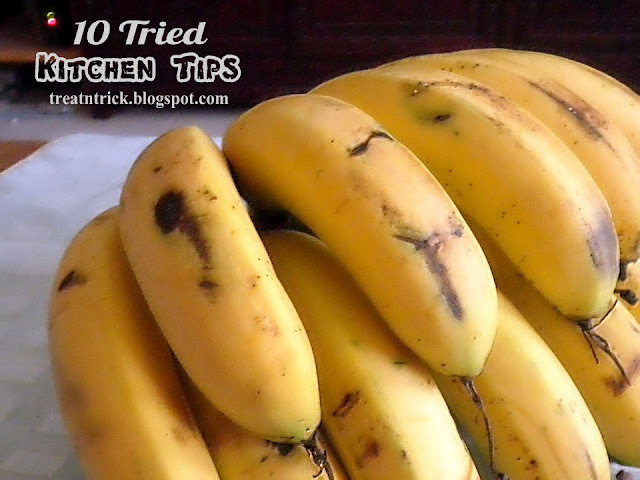 Another set of 10 Tried Kitchen Tips that are quicker, no mess and make your cooking more fun. Cut a whole garlic into half. Microwave for 15 seconds.